Upon hiring Earnie Stewart as general manager for the men's national team, U.S. Soccer announced that Stewart would be in charge of instilling and supervising a style of play vision. Stewart recently described his style of play vision as: "It has everything to do with the values that we have as Americans. What we think is important. We have great athletes that are always on their front foot, that are aggressive, we're are kind of like in your face. And that's what we want to see from our players as well." Landon Donovan, the USA's all-time leading scoring (57 goals, 58 assists), during his 2000-2014 national team career twice helped the USA reach the second round of the World Cup, won four Gold Cups, and starred on the 2009 Confederations Cup runner-up team that beat European champion Spain in the semifinals. SOCCER AMERICA: What do you think the ideal style of play would be for the U.S. national team? LANDON DONOVAN: It's also been a difficult question to answer because, one, we have such a large country and two, we have such a diverse country. A lot of times national teams play a style of play that in some way meshes with their culture. The Germans, for instance, for many years were rigid in the system and the way they moved, and everybody knew where the ball was supposed to go next. It was kind of reflective of their society. They've gotten away from that a little bit with much success over the last few years. The French are more flamboyant. It always sort of reflects your culture and the "problem" with us is that we have so many different ideas of what we should be or what we might want to be based on where we came from or the type of soccer we grew up learning. I grew up playing with Latin players. My style sort of fit in with that mix of typical American athleticism. All that is a long way of saying it's difficult to pinpoint an ideal style of play and it might be difficult to implement not only because of the diversity, but because of all the different types of soccer you can play: club soccer, many versions of club soccer, rec soccer, AYSO, high school soccer, ODP. And you have people with all different ideas of how the game should be played. To implement it at the national team level and youth national team level is possible, but you're going to fall behind many countries where the players have been doing it since they were 5 years old. LANDON DONOVAN: In Spain, every 5-year-old who plays in the midfield is thinking I'm going to be like Xavi or Andres Iniesta or Sergio Busquets and they're learning to play that way. We don't have that advantage. I know I'm not giving you the answer you want, but it's always been a difficult question to answer. The one thing that we have always been when we've been successful is, and Earnie alluded to it, is we've had a spirit that has kind of defined our style and it's the one thing countries have always said about us, that they hate playing the Americans because of that spirit, and that ability to keep going. We don't get down when we get scored on. Mentally, we're very tough. From a psychological standpoint, that's a style that we should in my opinion always carry with us. As far as technically on the field, I think that's going to be based on probably coach to coach unless there's a broad sort of 10-year-plus plan to implement a certain style of play. SA: But couldn't U.S. Soccer emphasize certain aspects of the game that are a part of successful styles of play -- for example focus on developing highly skilled defenders who enable teams to play a possession game? LANDON DONOVAN: No question. And the whole world has gone that way. Now, if you aren't able to make good passes as a defender you're certainly not going to sign for a big club. And even at smaller clubs around the world you're expected to do that. I don't know if I'd classify that under style of play, but perhaps it is, and it should be mandatory so that that is never a question any more -- and we're getting there slowly. You watch Cameron Carter-Vickers and Matt Miazga the other night and they look very comfortable on the ball. That didn't happen even 10 years ago with most our defenders. You had a few who were good like that, but most of our defenders were not that comfortable on the ball. That's changing as we get better coaching and coaches understand that's a vital piece of it. SA: If we look back at the U.S. men's national teams since 1990, when it returned to the World Cup for the first time in 40 years, I'd say the most successful eras were: The 1994-95 teams Bora Milutinovic coached at the 1994 World Cup and his assistant Steve Sampson took over and finished fourth at the 1995 Copa America. And then two teams you were a part of: The Bruce Arena-coached team that reached the quarterfinals of the 2002 World Cup and the Bob Bradley-coached team that finished runner-up at the 2009 Confederations Cup, a year before winning its group at the 2010 World Cup. SA: Can you describe the style of play of the 2002 and 2009 teams? But with Bruce you knew exactly what your role was. Everybody on the team felt comfortable around each other. A core group of guys were together for a long time. So all the expectations of what to do and where to go, where to be in certain moments, were very clear. With Bob it was the same thing, and maybe even to a higher level. Bruce gave us a little more freedom. Bob was very specific in how he wanted us to play. And because of that, whether you were a starter or came in as a sub, or the No. 30 guy on the roster, when you came into the team you knew exactly what was expected of you in certain positions. That is, in my opinion, just as important as having a technical style of play. The styles were is different in a couple ways. LANDON DONOVAN: In Bruce's teams -- we were very comfortable playing against the bigger, better teams knowing that we would defend well and we would counter really well. And we had the type of players who could defend well and then when we needed to, make a few good passes to get out of pressure, and we had the ability to counter very quickly. And we coupled that with the ability against weaker teams -- playing some of the smaller Concacaf teams -- to physically overpower them. So, in those games when you had Brian McBride, you had Josh Wolff, all of our defenders, we were just physically dominant over lesser teams and would use that to our advantage, whether it was size-wise or just athletically, with speed, etc. And against the bigger teams we could hang with them physically because we were athletic and physical and we had the ability to sit in and counter really, really well. And that's why that team was so successful. SA: And the Bradley teams? 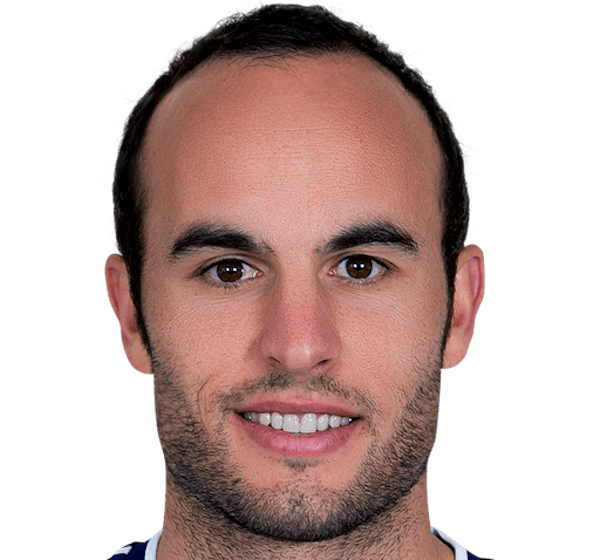 LANDON DONOVAN: Now with Bob's team we had a lot of veterans who were still in their prime and very smart players and because of that we always played out of a 4-4-2, so you knew your role very clearly. If you were a central midfielder -- mostly Michael Bradley, Ricardo Clark, and some other guys in there -- the aim was to move together and more of your role was to be defensive, and once in a while take chances getting forward. The wide midfielders, who were a lot of times Clint Dempsey and me, would play way inside. We would tuck in and let our outside backs go forward when that presented itself. And we combined some of the same principles. Against the better teams, we were able to absorb pressure and counter, but we were also able to play and pass. And when you had two goalscorers -- the all-time U.S. leading scorers [Donovan and Dempsey] -- playing in the midfield, and two forwards ahead of you, whether it was Jozy Altidore, Charlie Davies or whoever, it gave you four real goalscorers on the field. And you throw in Michael Bradley, who from time to time gets forward and scores, too, and it made us really dangerous offensively. That was a distinct style and that was for me personally the easiest time in my career to play because I knew exactly where I was going to play every time I came in and I knew exactly what my role was. SA: What's your view on who should be the new U.S. national team coach? LANDON DONOVAN: I've always said my preference is someone who knows the league [MLS] and knows American players -- so an American coach in the league or coach who's coached in the league would be the preference. You want guys to get rewarded. Oscar Pareja in Dallas has been very successful wherever he's gone. Greg Vanney winning with Toronto last year even though they've struggled this year. Gregg Berhalter I think has been really good [with the Columbus Crew] on a limited budget with limited resources. What Peter Vermes has done has been really impressive and he's done it year after year after year in a smaller market with less resources. I don't know if I'm missing anybody. SA: Giovanni Savarese [first-year Portland Timbers coach after winning three NASL titles with the Cosmos]? LANDON DONOVAN: Yeah. It might be early for him because he doesn't have quite the experience in MLS, but he's done well too. I would like to see someone who's put in time in this league get a chance. I don't have any say in the matter, but that would be my personal preference. I also think from a cost-benefit perspective, you don't need to spend or $8 million or $10 million or $12 million a year on a big-name coach. I don't think you're going to get that much more than you would out of one of these coaches, who really understand the league and the players, and how it all functions here. Because it is a lot different than the rest of the world and that's an important piece. SA: Do you having coaching ambitions? LANADON DONOVAN: I'm intrigued by it but the problem is I'm very happy and I don't want go around the country and world chasing a job, so it's unlikely. Maybe when my kids leave the house. 43 comments about "Landon Donovan on a U.S. style of play, what worked in the past, and who should coach the USA". R2 Dad, September 14, 2018 at 10:20 p.m.
What LD describes is a solid, top 25 team. But never a world-beater. Can we be world-beaters with a bunch of MLS guys? No. so maybe LD's approach, with American coaches and a counterattacking strategy, is the most practical given our level of players. But that's where we were 15 years ago, when we decided to kick on. And yet we haven't, mostly because everyone is still wedded to the strategy that got us into the top 25 in the first place. Bob Ashpole replied, September 14, 2018 at 11:05 p.m.
R2 Dad, the focus was on what is the US style of play. Yes we were there 15 years ago, but we have fallen since then under a big name European coach. Really the problem is developing better players. No coach has ever scored a goal from the technical area. When we get better players, then we can worry about finding coaches who can work with the better players. The one improvement under JK was that there is no longer a spot for great defensive CBs who are not good playing with the ball. The advent of the prohibition against pass backs to the keeper not only created a need for keepers with skilled feet, but backs too. There is no easy safe escape from pressure any more. Wooden Ships replied, September 15, 2018 at 10:19 a.m.
Bob, I don’t think we’ve fallen off due to a European coach. JK brought some needed improvements, but had his negatives too. It is about the players abilities and professionalism. I see what R2 is saying and I don’t see any real self critique occurring with regard to our players still not having the advanced polish. Disappointed LD wasn’t more honest about our exclusion of the more skilled Latin players, a true number 10 and his explanation for why. Three of the four MLS coaches will be more of the same. The great fighting spirit, less the technical skills. Bob Ashpole replied, September 15, 2018 at 2:19 p.m.
WS, I agree that a European coach was not the cause of our current problems. My point is that a European coach is not a simple solution to our current problems. I agree with LD's point that a MNT coach needs to understand MLS and MLS players to be successful. Just knowing Europe is not enough. Not only does a majority of our player pool come from MLS, but the majority of players we face in qualifying will come from MLS also. There won't be any significant change in the near future. USSF doesn't want change. In fact USSF is actively opposed to change. LD is walking very softly around youth soccer's focus on parents in rich suburbs and USSF scouting focus on the USSDA. The commercial aspects of youth soccer are limiting player development. I cannot blame him. What one says on line stays forever. Wooden Ships replied, September 16, 2018 at 10:11 a.m.
Bob, you’re correct in that much of our regional competition plays in the MLS, but they bring the advanced skills with them. I wasn’t stating we need a European coach, but a coach that will select players with more technical ability, commit to it and model for all wannabes that if you desire to play at the highest level for your country you need to be a complete player. I don’t believe you can demand of others what you can’t (or haven’t) do yourself. And, why can’t you, we, blame Landon for not being frank regarding development, pay to play and the exclusion, laregely, of the Latin player and style. Who better to opine? And, with all due respect for those continuing to harp on athletes, and losing out to other sports and horsepower, they are perpetuating a falsehood and are part of the problem. John Richardson, September 15, 2018 at 10:15 a.m.
beautiful game replied, September 15, 2018 at 11:15 a.m. Player quality dictates the style of play. We have, what we have and unless the development coaching style changes,; it is what it is. P Van, September 15, 2018 at 11:34 a.m.
LD does a thoughtful job discussing differences between Arena and Bradley led teams. I'd have enjoyed a question about his time playing under Klinsmann, positives and obviously negatives. I think he's spot on in terms of "style" of play too. We need more players who can do the requisite things that the world's top players can. I do believe coaching is getting better, more young players have soccer balls at their feet all day. More young players are moving to Europe to get ahead. Bodes well for the future. I'd also add that another advantage we've had is a general sports culture (not necessarily true beyond that realm, I'm afraid) that supports world class physical fitness. frank schoon, September 15, 2018 at 11:46 a.m.
Mike I'm glad for the interview of LD but I expected a lot MORE coming from him ,especially someone who has been involved at the highest level of US soccer, as far as insight about the game, what should happen, what should improve, player development, coaches, training, the USSF leadership, etc. I was very, very, disappointed in the lack of depth and breath LD showed in discussing the issues. He also seemed very Politically Correct in his answers, very Wishy washy and non-committal. He's not a fighter, personality wise, and that is also reflected in the move he made by leaving soccer for a year to find himself in the California air. And that is another reason why JK clashed with LD for JK is a fighter, a go-getter type of personality. Great soccer players by nature have a "bite" to exist in soccer, like Cruyff, Ronaldo, Beckenbauer, Chinaglia,etc,etc.. but LD doesn't have "bite" and it shows in the interview as well. Watch the Netflix, "Concrete Football" ,then you will understand what I mean what "bite" is. LD, states that we don't have a style and he blames the lack of style on the diversity and size of this country. I disagree, we do have a style, it is a very simplistic ,meat and potato style, which takes little brains or a refined technical ability. This style can be described as counterattacking, employing athleticism, physical aspects, running, and opportunisitic play,and relying on dead ball plays. It doesn't matter where the players come from that represent the USMNT, Alaska, Oklahoma, New York, California, New Jersey, etc, they all fit and play in that same brainless style of play. So to say it is very difficult to play a style due to the size and diversity of our country is nonsense. Earney is right, we have to play to our nature and our nature is aggressive, proactive, in your face, in other words 'BITE" all of which LD lacks. This style represents offensive style soccer, an attacking frontline, an attacking backline, smart play and proactive thinking in order to take care of ball loss situations. It requires technical development which we are failing. s fatschel replied, September 15, 2018 at 11:56 a.m. I must agree with FS on this one. Maybe SA needs to ask tougher questions. We're just on the hamster wheel. Bob Ashpole replied, September 15, 2018 at 2:33 p.m.
Frank, I am not in favor of mediocre coaches, players, or anything else. If saying the MNT coach needs to be familiar with MLS and MLS players means in your view the candidates will be mediocre, then I respond that we need to raise the level of coaching in MLS. I would say that we need to develop and recruit better coaches regardless. We won't get anywhere totally focused on long term goals. We have to focus primarily on what we can do to improve US soccer now, without losing sight of the long term goals. Get the best candidate with knowledge of MLS and work on bringing in better. I agree with you that great coaches like Cruyff are not going to want to coach under our current circumstances. It will be tough enough attracting the best coaches familiar with MLS. frank schoon replied, September 15, 2018 at 3:09 p.m. Wooden Ships replied, September 16, 2018 at 10:22 a.m.
Bob, why is it so important for our next coach to have an awareness of MLS? Bob Ashpole replied, September 16, 2018 at 10 p.m.
To know a majority of the players in the competition and a source of potential players in the US pool. "Know" means knowing both strengths and weaknesses. Eric Jensen, September 15, 2018 at 1:37 p.m.
Good interview. Thanks for that. Seems like the key question is "how do we take our unique aspects - the diveristy of playing styles, the experience with other sports and other items - and make them strengths of the program. I haven't seen much of a discussion of "what are the unique strengths of the USA soccer culture relative tot he rest of the world?" other than we have strong athletes and teams in the past were gritty/determined. For example, how are SoCal teas different than New York teams, and how can we blend the two styles to maximum benefit. I think having a coach who is familiar with the Latino part of US Soccer is critical. Osorio would have been great here. Also, the English national team coach talked - during the world cup - about leanring how to do set pieces better by watching US basketball. Maybe it's blue sky a bit, but it seems like lessons from the multiple sports in the US, particularly basketball and football, could be applied to US soccer to our benefit. s fatschel, September 15, 2018 at 1:51 p.m.
Would like to see SA get boots on the ground when it comes to reporting. Go to DA showcase and talk to parents or Tab Ramos walking around there. Go to the French or German club academies. Go to Brazil and talk to kids on the streets. To much second hand news and soft interviews done from home. frank schoon, September 15, 2018 at 2:46 p.m.
Guys, as I read some of the comments concerning or rather worrying about how do we combine the West Coast with the East Coast and fly-over middle America style of soccer. I'm beginning to laugh about it for it has nothing to do with that- diversity and size of country. You know what style is, style is playing good soccer...BadaBoom. And currently we don't play good soccer. The more sophisticated the players become in playing soccer , meaning exhibiting good ball techniques and thinking, the more players begin to jell together the more the difference between them dissipates. You think Johan Cruyff playing in Brazil would have difficulty, after all, he grew up in a country Holland that is million miles from Brazil, talk about differences. Now why,may I ask, would Cruyff not have one bit of difficulty, because it all comes down to efficient ,functional soccer, able to read ahead of time where the open man is or will be, shooting, accurate passing, creating open space, knowing where the ball will go and what position to take. See I have yet to even discuss style but only how good soccer is played, THAT IS THE SECRET TO STYLE. Style has nothing to do with size of country of diversity of players ,for all those differences will disappear when you play good soccer. beautiful game replied, September 15, 2018 at 5:03 p.m.
Frank S., common sense analysis...all quality players adapt when they possess the mental and technical qualities. Bob Ashpole replied, September 15, 2018 at 11:53 p.m.
Frank, that was a pretty good explanation. All team tactics and game plans are built on the base of players having sound fundamentals. When players don't have sound fundamentals, you end up with systems full of role player positions and lots of specific coaching instructions. Hopefully more people will understand that a brilliant coach cannot compensate for a lack of smart skillful players. s fatschel replied, September 16, 2018 at 8:30 a.m.
BA but also skill level depends on pressure. Its not that the USMNT doesn't have skill but they have a lower threshold of pressure under which they can execute skill. To improve that you need talented athletes which we lose to other sports and an excellent and complete development system which we are still 20 years away from. That because of everyone is trying to make a buck off of soccer. frank schoon replied, September 16, 2018 at 11:55 a.m.
Bob what you state <" All team tactics and game plans are built on the base of players having sound fundamentals.. that a brilliant coach cannot compensate for a lack of smart skillful players. "> Says it all. I admire both you and Ships use of verbage , the use of the English language...so efficient and so concise that I review again your comments a couple times just for how you go about stating and expressing ideas. In lieu of what you just stated and what I said about Style, Piet Keizer, who was Cruyff's mentor and teammate, the two greatest players Ajax ever produced, once stated " Tactics are for the lesser gods". He meant that great players don't need tactics for they see what is needed, technically and tactically, and it is the lesser players who need tactics or a plan, a "crutch' to follow.. BTW, Cruyff chose Keizer on the all-time Best World Team. Piet Keizer - The Legend - YouTube: Skills of Piet Keizer - YouTube: Piet Keizer | Best moments | RIP | 1943-2017 - YouTube. Rinus Michels back in the mid '60's, as he began as coach of Ajax didn't come up with this idea in mind of playing TS. He didn't plan on developing a revolutionary way of playing which ever since that time was never followed or copied again, the reason being you need SPECIAL players for that. How special were these players that made up the famous Total Soccer, WC'74 team, well 5 from that team, Rensenbrink, Cruyff, Kroll, van Hanegem, and Johnny Rep, were picked for the All-World Team. Can you imagine how good the WC'74 team was when half the team was picked as the All World, meaning they were part of the "gods" of soccer....you see where I'm getting at, now. NEXT POST. frank schoon replied, September 16, 2018 at 1:09 p.m.
Bob, in other words, the "gods' don't need tactics to follow, but play according to what is necessary at that moment in the game. Now you begin to see that TS, was as Cruyff called "organized chaos", which was never seen again or copied because you need 'gods' GREAT players to carry this out. There was no plan other than players "gods" feeling ,seeing, knowing what to do as related to what is happening on the field, and what should happen next, THAT'S ALL !!. Michels as a new coach at Ajax began this evolution what so many call TS having his backfield play man to man, the next year he changed to man to man defense with switching as well as the goalie coming out of his goal, and the libero could go on attack. Notice here how the backfield began to move forwards and become more attack oriented, which was a year to year step by step process. But why choose an offensive or the thrust for offensive because Michels had Johan Cruyff, Piet Keizer and Sjaak Swart great attacking frontline. Likewise the midfield also had great attackers, ballhandlers like Gerrit Muhren the most skillful player on the Ajax team( due to personal problems he wasn't on the WC'74 team). Not to mention all his Ajax players had great offensive skills gotten by playing "street soccer' like Zlatan. Michels was faced with great Technicians, which means you need to play offensive soccer. When you have great ballhandlers in order to make them most efficient, THEY NEED THE BALL;thereby employing their strength in other words. Now you see why Guardiola chose to hound the opponents for the ball for he has players who are better with the ball than without. Ajax was not suited for counter attacking soccer , waiting for an opponent first to make a move because than you make your technical players play the game employing their weak side, defense. By the nature of the players Rinus Michels had to play an offensive style game. You can see that TS was a process which was influenced by the nature of players Michels had. Because Ajax was offensive it had to make sure that were no big gaps between the lines, in other words if the frontline moved up so must the mid-line and the backline must follow. Michels learned from his first year that his backline must move up also therefore he chose in his second year a backline with no defenders or rather players who were not defenders. In other words his two outside backs were former wingers who just weren't good enough to beat out great Keizer or Swart. frank schoon replied, September 16, 2018 at 1:33 p.m.
Bob,Next ,the libero was a former midfielder and the centerfullback was a former centerforward. The overlapping outside backs didn't really begin with Ajax but teams throughout the world at times had an outside fullback overlap. That fit right in with Ajax who had former wingers playing outside backs, so why not overlaps, Bada Boom. As the outside fullback overlap, the halfback fills his position and same applies for the halfback if he overlaps the wing fills in that open spot. Likewise as the centerfullback or libero goes on attack then the centerhalfback would fill the position. In others the first steps of changing positions was vertically, and the later process also became horizontal. Michels allowed switching positions as long as they remained filled. Michels was pragmatic and followed the developments accordingly, it wasn't planned as so many believe TS was. Next because his lefthalfback Gerrit Muhren was the greatest technician, better than Cruyff, his role was to never lose the ball and because he was so good at it the whole team felt comfortable going on offense without worrying about loss. And if by chance there is ball loss you jump on the opponent so quickly than they can't begin an offense, that's what Barcelona does. I've read Johnny Reps and van Hanegem autobiography's and others who all stated they never knew about TS, it was just a made up meaningless term. Van Hanegem stated we as players were so good that we knew what to do and adjust for what was needed as 'gods" should know. Michels was not that much of an influence, although he formed the structure and basis , he was the architectect of the big picture, but it was the players that build the house, maintained it,changed the specifications, restructure whatever was needed on the field. The team played from moment to moment the knowledge, experience and abilities and deep insights of the 'gods' on the field and on not from any instructions from the bench. In sum it wasn't that the Dutch came on the field with intent of showing the world TS, they came on the field and played great soccer showing the principles of the game which are still followed to this day by great teams..
Bob Ashpole replied, September 16, 2018 at 10:20 p.m.
S fatshel: "BA but also skill level depends on pressure. Its not that the USMNT doesn't have skill but they have a lower threshold of pressure under which they can execute skill." I see pressure included in the meaning of skill. Doing something without pressure is not skillsful. Anyone can do that. Coaches develop player skills of all sorts by manipulating the pressure to keep play challenging. So I would say that a player lacks sufficient skill if they cannot perform successfully under pressure. I would agree that international play generally has more pressure than MLS play. So players may be skillful enough for MLS, but then some don't have sufficient skills to play well on the international level. You never really know if a player can step up his play to the international level until they try it. The US has always struggled to fill the men's player pool with players with skills sufficient to play well on the international level. That is what is holding us back. Some say that there are sufficient players available, but the NT coaches don't pick them. s fatschel replied, September 17, 2018 at 9:07 a.m.
BA my point is pressure (time and space) is not on/off. It has degrees. At every level time and space are reduced...high school to college to MLS, etc. At some point every player, even Messi if surrounded by 3 players can no longer perform skills. Bob Ashpole replied, September 17, 2018 at 3:29 p.m. I agree. Good point about pressure. About Messi, the idea is to avoid being surrounded by 3 players. He is very good at slipping through the cracks. Philip Carragher, September 15, 2018 at 2:56 p.m. I understand why most of us cringe when "athleticism" is mentioned as a mainstay of US Soccer culture, but it is important to note that, as a coach, I would rather work with players that have more horsepower than less. After all, Donovan's athleticism (speed, etc.) mixed with superb skills propelled him into the category reserved for the most elite of players. Without his speed would his game have suffered? It certainly would have been different. frank schoon replied, September 15, 2018 at 3:27 p.m.
Philip, I see your point but if you think "speed is atheticism" yes in a track meet. Speed/athlelicism is more than running fast for if that was the case East Germany would have been a soccer power. Barcelona's midfield when Guardiola was coaching proved to the world that you don't need big, fast, tall athletic players but short quick players, Xavi, Iniesta, Busquets that are smart and who can move the ball quickly ; you would never see these three try to outrun players for they employed their wits. Look at Modric, of Real Madrid, now voted best European player of the year, short, smart, good ball handler at midfield who couldn't outrun his grandmother. Look at Messi he never outruns anyone with his short legs ...it's all about thinking a step ahead and quick ballhandling skills. Bob Ashpole replied, September 16, 2018 at 12:02 a.m.
Short players have physical advantages over taller players. Shorter legs have quicker feet. Shorter height is a lower center of gravity. Tactical speed (or whatever you want to call the overall speed-of-play) is much more important to attacking than running fast. Running fast is useful for recovery runs for defenders out of position, but it is far better for defenders to not be out of position in the first place. R2 Dad replied, September 16, 2018 at 5:56 a.m.
Philip, your thinking, while understandable, is flawed. Don't feel bad, most of the coaches in the Nats silo are in the same boat. But as pointed out above, you can't outrun the ball. Once we get our American heads around that simple concept the rest of the top countries inherently understand, we will have turned the corner. Look at Hazard, one of the best players in the world. He's 5'-8"--he's not outrunning anyone. Giovinco. Messi. Maradona--all dwarves. We're measuing the wrong things in the USA, and until our coaches start choosing skill and quickness over speed we will never develop into a world cup semifinal team. Never. Ever. Ever. beautiful game replied, September 16, 2018 at 5:43 p.m. Speed means nothing if execution is morbid...the dynamics of a quality soccer player are based on a plethora of mental & physical skills to include the ownership of born instinct. Bob Ashpole replied, September 16, 2018 at 10:35 p.m.
Phillip, a view of the game that prefers long diagonal passes to long passes straight up field is a view that requires much less sprinting and avoids stretching out the team shape and avoids isolating forwards with the ball. Right Winger, September 15, 2018 at 9:10 p.m.
Everything starts with a foundation. The foundation is the DA program. Right off the starting line we are all in agreement that the foundation has a crack. It appears that no one wants to patch that crack. Until that happens we will keep getting what we have been getting. Watch our players even at the national team level. With the first touch on the ball. It’s sad. R2 Dad replied, September 16, 2018 at 6:06 a.m. I'll know when the DA program is working once we have a few kids from Indian/Pakistani backgrounds on the Nats. I don't like generalizing too much but these kids are the quickest around, both in thinking speed and reaction time. You don't always see both in one player but the're out there. Ric Fonseca, September 16, 2018 at 1:48 p.m.
IMHO, I'd nominate FRANK SCHOON as our next MNT Head Honcho - after all, he seems to have all of the answers based on his European past. So, how about it, Frankie, step up to the plate!!! frank schoon replied, September 16, 2018 at 2:18 p.m.
R2 Dad replied, September 16, 2018 at 3:47 p.m.
What do we all have in common? We're not USSF voting members! Fire Paul Gardner Now replied, September 18, 2018 at 6:13 p.m. Right Winger, September 16, 2018 at 8:30 p.m.
What we all have in common and US Soccer doesn’t have a clue. We as a group have identified the problem and US Soccer has not. Or, maybe they have identified it but don’t have a clue as how to correct it. Bob Ashpole replied, September 16, 2018 at 10:29 p.m.
USSF is very happy with the status quo. The business of soccer is doing very well compared to past decades. They see (correctly) that the US MNT failure to qualify was an aberration. It took all three favorite teams to be upset on the last day of competition for the US to be out. Guess what? All three matches were upsets. They were and are quite happy with qualifying and advancing out of group. They don't see any need to change anything to keep doing that in the future. Not to mention the field is expanding to 48, so it will be logically easier to qualify. Some of us are not happy with the status quo. We would like to see steady improvement in the competitiveness of the MNT. We have seen no progress in the last 15 years. s fatschel replied, September 17, 2018 at 9:53 a.m.
BA you have a valid point and one of my issues with SA is they dont seem to able to get to the bottom of this in interviews with our soccer leaders. Why do so few of our leaders/experts offer no specific solutions? In the last year I have only heard one leader offer a specific solution which was the idea of odp training centers. Is it that soccer leaders are just under achievers compared to other fields, Elon Musk, Bill Gates, etc. Or just to much politics? Kent James, September 16, 2018 at 10:06 p.m. Very interesting interview with LD. Great to hear his insights, and I think his analysis of past US play is excellent. He also has a point about the challenge of developing one style in the US because it is such a diverse country (though it's also an advantage, if we choose to use it). I think if we develop superb players, style is less important, though then it becomes a question of how the players fit the style (or system of play) the team uses. I think we can meld the ball skills orientation of the Hispanic style with the more athletic and organized European style; I think that's where the coach comes in. Take the best players and adopt the style that best suits them (I think that's better than picking a style and then choosing players that fit the style), though that may be a chicken and egg thing... There is no golden key, which is what makes it so interesting! James Madison, September 18, 2018 at 2:25 p.m.
Another terrific interview, Mike. LD sounds to me as though he is essentiallyh on the side of Tab Ramos and Hugo Perez in the debate over what kind of payers to be sought for the MNT. If this view prevails, we may no longer suffer from technical deficiency.